The Schuster Concrete Construction Apprenticeship Program will take 2 years for an apprentice to complete. Each year will be comprised of 144 hours of classroom instruction, which will include practical application and theoretical aspects and 2,000 hours of on-the-job training. Apprentices will complete on-the-job training under the direct supervision of a skilled craftsman mentor. Milestones met during classroom instruction will coincide with the tasks completed on the job. Hourly wage increases will be based on hours completed. Participants who successfully complete the program will receive a nationally recognized credential from the Department of Labor. A construction craft laborer performs task involving physical labor at buildings, highways, and heavy construction projects. 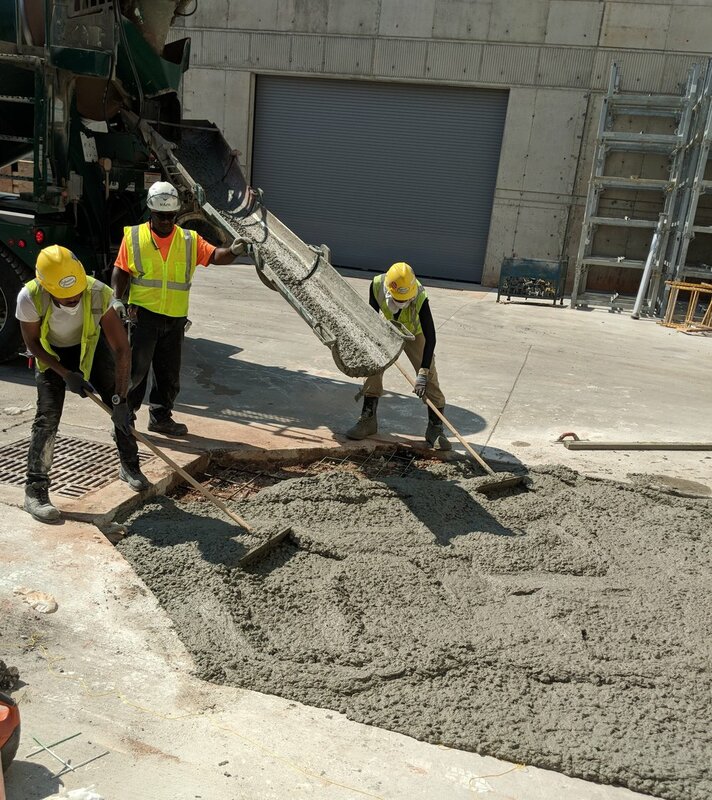 They may operate hand and power tools of all types such as air hammers, cement mixers, small mechanical hoist, and a variety of other equipment and instruments. They may clean and prepare sites, dig trenches, set braces to support the sides of excavations, erect scaffolding, and assist other craft workers. Must have access to reliable transportation and be able to commute to job sites as needed.